I use CPU 414-3PN/DP and ET200M (IM153-4PN) in my project. 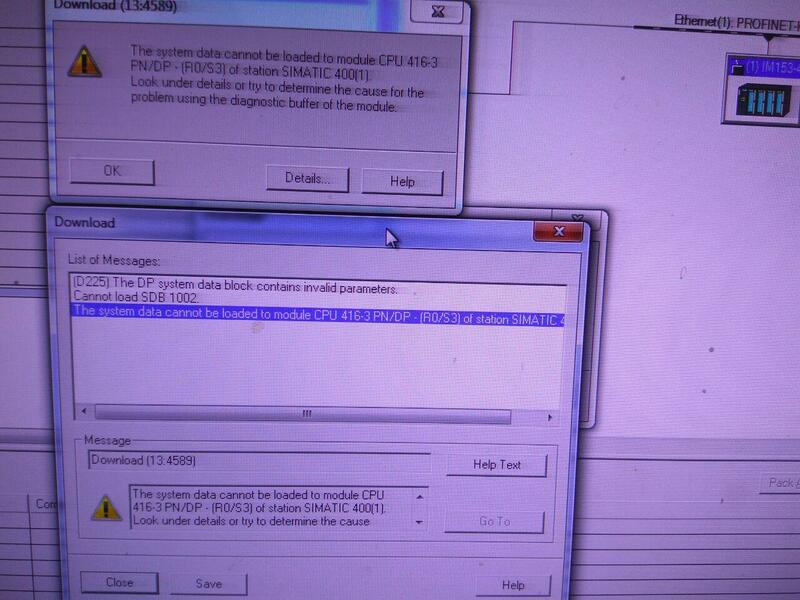 HW configuration save and compile without error, but when i download HW config on CPU, I see an error that i attach it. As Jimmy mentioned..try clearing your system data blocks, then recompile all.